Product information "Welches Tier lief denn hier?" In the snowy winter landscape, animal tracks form fascinating patterns in the snow. But which animal ran here? 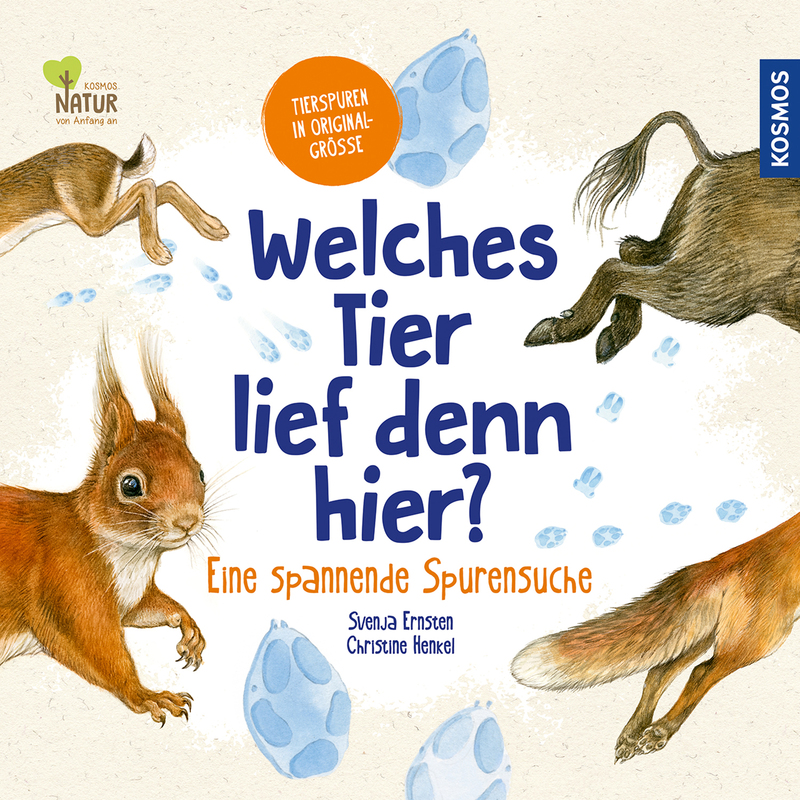 With this lovingly illustrated non-fiction picture book, even the smallest children learn to identify local game’s different tracks. Paw prints from mouse, squirrel, rabbit, fox, deer and many more are shown in their original size. This turns a winter walk into an exciting expedition into the animal kingdom. Christine Henkel studied graphic design. Since 2002, she works as a freelance children’s book illustrator.